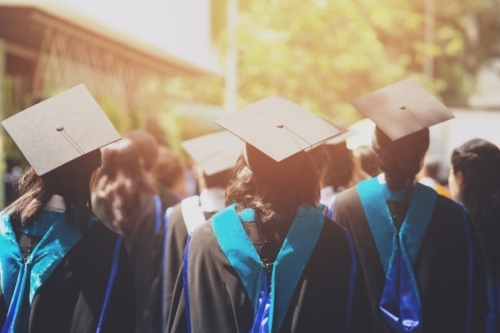 It’s the million-dollar question for many parents out there – if your child has a student loan, should you help them to pay it off? Dr Pushpa Wood of Massey University has the answers. Whether you give money to your child or not can be a real dilemma. Every parent wants to help their child in any way they can. You'll always worry about your kids, even when they've grown up and left the nest. There are many reasons why students end up with student loans. Many go straight from high school to university, which leaves them limited ways to save money before then. It might be a last-minute decision to start studying again, and there’s no money saved. Parents might be unable to help – and there’s debate on whether they should. Before you know it, your child might be finished university and have a student loan worth NZ$30,000, or perhaps even more. It remains interest-free until they leave the country for more than six months. They start paying it back automatically when they start working. In the conversations I’ve had with parents, they really worry about the heavy burden of debt their children are carrying. They worry that the debt might hamper their child’s ability to move forward in life. Some worry about their child not being able to buy their own home because of this huge debt. So, should you help your child pay off their student loan? The simple answer is, of course you should help if you’re able to. That’s what being a parent is all about. But there’s more to it than that, and plenty of other things to consider. Do you have the spare money to pay off the loan, or will you be borrowing it? If you’re borrowing money to help them, how will it affect your own financial wellbeing? Will I have to borrow money to help? Think seriously about your decision if you need to borrow money to help pay off your child’s loan. Who’s going to service the debt – your child, you, or both of you jointly? Work out how you’ll be affected by borrowing money. Can you really afford to help? Think about the pros and cons of payments – is it better to pay it off in one lump sum, or instalments? If you’re using your savings to help, you might be losing money on future investment interest or benefits. If you’re borrowing money, you’ll pay interest. Even if you can afford to help, it’s worth thinking about how it will affect your financial future too. Will you still be able to afford the things you want or need, and what impact will it have on your retirement? Am I just giving them the money? Next thing on the list to consider is, what form does this ‘help’ come under. For example, are you simply ‘giving’ this money to your child with no expectations or strings attached? Think about whether the money is a gift, or if you’re expecting it to be paid back. Is it helping them in the long run? The next thing I’d suggest you think about is if paying off your child’s student loan is helping them in the long run. Have you had a serious discussion with your child about their future financial goals, their plans to regularly save for emergencies, and their reliance, or otherwise, on borrowing? So, is it a yes or a no? I would say yes, provided you want to help, you’re financially able to – and if your child is financially responsible. Otherwise, I’d look at other options with them, and prepared to have a serious ‘money talk’. At the end of the day, the decision is yours. · 731,754 people have a student loan. · The total balance of all student loan debt is NZ$15.3 billion. · The average loan balance is NZ$20,983. · 57 per cent of borrowers are female. Source: Ministry of Education Student Loan Scheme Annual Report. Data correct as at June 2016. Student loan debt: Is it perceived as normal?